Injured duo Mitchell Starc and Chris Lynn have both been named in Australia's 15-man squad for the Champions Trophy in June with the Aussies set to unleash a dream four-man pace attack for the very first time. AUSTRALIA SQUAD: Steve Smith (c), David Warner (vc), Pat Cummins, Aaron Finch, John Hastings, Josh Hazlewood, Travis Head, Moises Henriques, Chris Lynn, Glenn Maxwell, James Pattinson, Mitchell Starc, Marcus Stoinis, Matthew Wade, Adam Zampa Starc (foot) and Lynn (shoulder) are both currently on the sidelines due to injury but are expected to be fit in plenty of time for Australia's tournament opener on June 2. 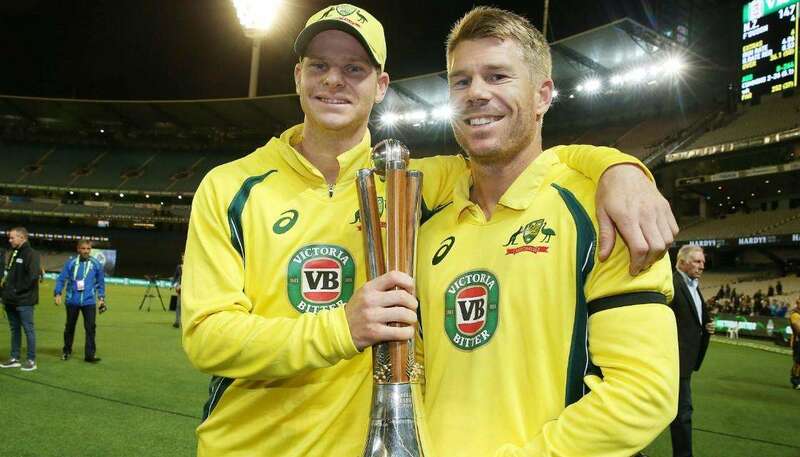 Victorian pacemen John Hastings and James Pattinson have both been included, while allrounder James Faulkner - who was man-of-the-match in Australia's World Cup final triumph in 2015 - has been dropped. Allrounders Marcus Stoinis and Moises Henriques have been picked while Australia could unleash a dream pace quartet of Starc, Pattinson, Josh Hazlewood and Pat Cummins for the first time in an international match. 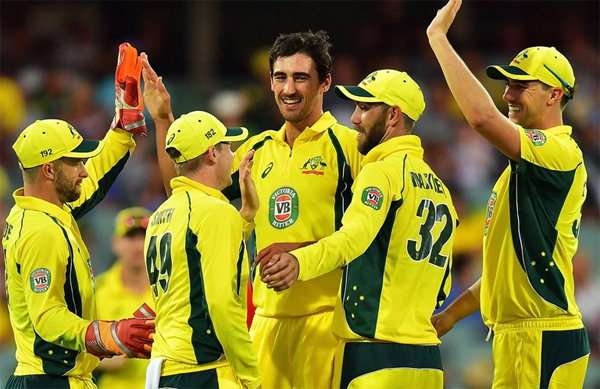 Batsmen Usman Khawaja, Peter Handscomb and Shaun Marsh - who all played ODI cricket earlier this year - have all been left out along with veteran George Bailey, while Aaron Finch has been named and looks set to resume his partnership with David Warner at the top of the order. "Our medical staff will continue to monitor Mitchell and Chris’ recovery from their respective injuries, but we are hopeful they will be fit in time for the team’s departure on May 18," said selector Trevor Hohns. "Both James and John have made very good returns from injury and are bowling well for their respective teams in the English County competition as well as both contributing well with the bat. "When you also add Mitchell Starc, Josh Hazlewood and Pat Cummins to the fast bowling artillery it becomes a very exciting proposition for Australian cricket. 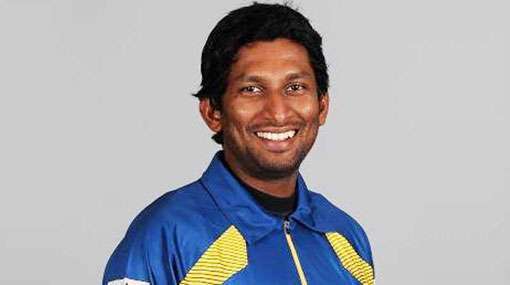 "Moises finished off the domestic season very well and has had a great start in the Indian Premier League. 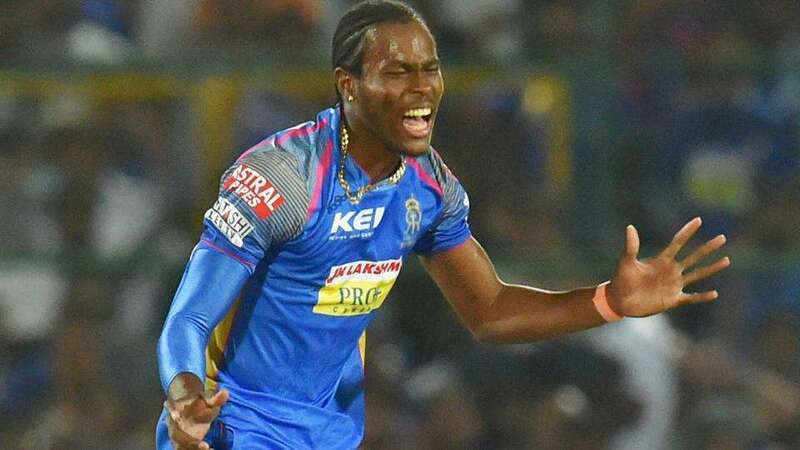 We believe Moises’ batting has improved significantly in the past six months and he will provide us with a strong option should he be selected. "James (Faulkner) has been a consistent performer for the one-day squad for several years, however with players such as Pattinson, Cummins and Hastings coming back to full fitness and the emergence of Marcus Stoinis, James was squeezed out of the squad and is an unlucky omission." A mainstay at No.8 in the lead-up to and during Australia's triumphant World Cup campaign, Faulkner had lost his place in the side at times in 2016, including for the final of the ODI tri-series in the Caribbean last June. 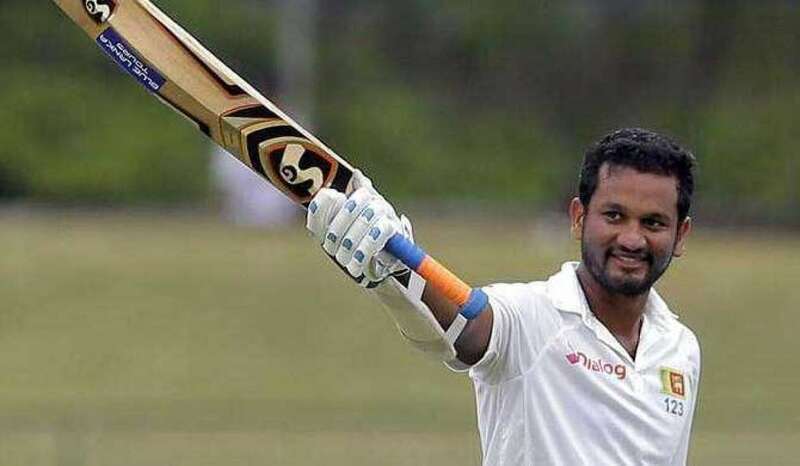 But he has since been back in favour and while his batting returns have dropped off, he's taken 25 wickets at 22 since the start of the tour of Sri Lanka last year. Hastings, who was unlucky to miss out on the ODI squad to play New Zealand in December, who been picked largely on his proven ability in English conditions. The right-armer has vast experience in English county cricket and took 3-21 from 10 overs in Australia's most recent ODI in the UK. Lynn, who has played just one ODI, has been named despite a string of serious injuries that have restricted him to just 11 50-over matches since the 2013 domestic final. And while the destructive Queenslander is currently injured again, selectors have deemed him worth a gamble. The quadrennial eight-team event will be played in the UK between June 1 and 18, where Australia will be grouped with hosts England as well as Bangladesh and New Zealand in Group A, while defending champions India are pooled with South Africa, Pakistan and Sri Lanka in Group B. The members of the squad not currently playing in the Indian Premier League or English county cricket - Hazlewood, Starc and Wade - will depart for England on May 18, while those in the IPL will stay with their respective franchises until their teams finish the tournament. The IPL final is on May 21.